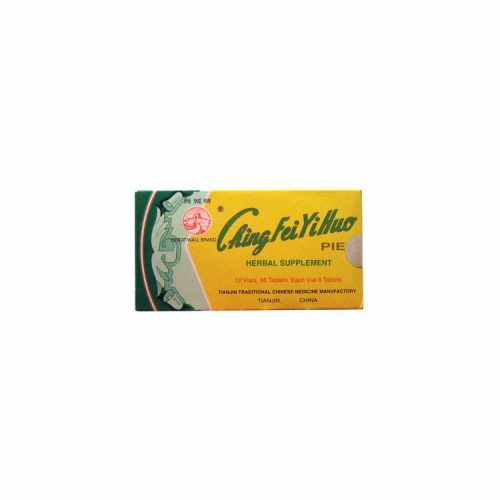 Clear Lung Heat, eliminates phlegm, drains liver fire, moistens the throat, frees the stool, cough relief, promote increase in body fluids, stop bleeding. Smooth Bronchial supports the health of the throat, the lungs and the mucous membranes lining the mouth as well as the health of the lower bowel. This product is one of the few patent formulas available for lung fire conditions, marked by a sensation of burning lungs, with dry cough, or barking cough. It can be added with other formulas for phlegm heat, to reinforce the effect of draining fire and clearing heat. To some extent, it is useful for bacterial infections, and can be used in acute pneumonia and bronchitis. Use for lung fire conditions producing sharp, barking cough, sore lungs, dry mouth, cough with excess thick sputum, swollen, painful sore throat, including tonsillitis and pharyngitis, mouth or nose sore, toothache or boils, constipation due to Heat in the Large Intestine, bloody nose, swollen or bleeding gums. Also for acute and chronic bronchitis, pulmonary abscess, and tuberculosis. Take 4 tablets, 2 times a day with warm water. For more serious cases with high fever, the dose may be doubled. There are not harmful herbs in this formula, thus it may be taken as long as necessary. Do not take if you are pregnant or nursing. Do not use in cases where the cough is due to Outside Pernicious Influence Wind-Cold, or Deficient Lung Yin; this formula is only used for cases with Excess Lung Heat. Rhubarb can cause loose stools or diarrhea; in that case, reduce dosage. Discontinue the medicine after heat symptoms subside, usually within three days.